Bandwidth Caps Will Not Be The Death Of Cryptocurrencies. Rather, The Opposite. You're finally ready to dive into the cryptocurrency stream, but a few days in, your capped bandwidth is exhausted, even on your landline, be it DSL or Cable. The frustration you're feeling at this point is a warning signal for a major bottleneck to the spread of cryptocurrencies. Keeping a distributed blockchain in sync takes bandwidth and in the future, it will take uncapped end-user internet access services. A constant transfer of data is required to keep the cryptocurrency ecosystem healthy. The current arbitrarily imposed bandwidth caps, which have no technical reason only being used to increase profit margins, will not, however, break the spread of cryptocurrencies. It is far more likely that as cryptocurrencies (and streaming services) increase in variety and use, the calls for truly unlimited bandwidth from ISPs will grow until the companies respond by releasing the stranglehold they currently have on internet access. The bandwidth caps will fade into history as much from the needs of an increase in the number of people using cryptocurrencies as from the increase of users of streaming video services. The changes that cryptocurrency will make to the world are not simply limited to systems of barter and trade, but also to the system those new currencies exist on. As with most revolutionary technology, the landscape is changed along with its ubiquitous adoption. Hospitals, schools, stores, and an ever-increasing number of places have "charging stations" for the smartphones everyone carries. A restaurant or cafe without free WiFi is about as unthinkable as either of these places without public restrooms. Widely adopted cryptocurrencies will bring about changes just as surely. While changes to the physical world may take a little longer for cryptocurrencies to effect, it seems clear that changes to internet services will come sooner. Customers will simply expect to be able to sync their various blockchains and keep connected to the systems of barter they've chosen to trust and invest themselves in. The current barriers in the form of bandwidth caps, hard or soft, will not be tolerated when it means interrupting the flow of various digital economies which the customer bases of these ISPs require ready access to. It is likely that a wide adoption of cryptocurrencies will bring with it a much-improved internet, as a matter of the basic technical requirements of that wide adoption. Just as DSL made its way out to rural areas with the advent of streaming services, it is likely that fiber optics, high-speed wireless, and uncapped data plans will spread outward as people attach their assets to whatever cryptocurrencies they choose to adopt. I have a small but growing collection of interactive fiction (text adventure) games. Some are in development, some are small and complete. You can check them out here, on the HowToPhil IF Page. You don't have to live in Wakeshma Township or even in Michigan to sign the petition. This kind of thing is happening all over the country. We need to start standing up to these corrupt small town "governments" together or they will continue to attack all of us. Thank you for any support you can lend. Burgundy Wolf, a private detective working the streets, slums, and sky-rises of Heartbeat City, sits in his office with his trusty dog, waiting for the next case to arrive. A knock on the door. The corpse of a woman with a bullet through one eye. A phone call telling him that they have stolen his gun, used it to murder her, and stashed it where the cops will find it. The Wolf must take to the streets to clear his name and perhaps even put a stop to a plot that endangers the entire city. You can get this book on Amazon Kindle or in print. My sister and her daughter, my niece, were visiting the other day. My niece is about one year old, with cute chubby cheeks, and a quirky attitude. I was working on my Japanese language study when she wandered into my room carrying “Never Alone & The First Lightning Bug” (the children’s book I had recently published and had given copies of to my nieces and nephews for Christmas). She looked up at me, waved the blue and orange book around and said, “Book! Book!” which is her way of asking me to read to her. So of course I stopped my studies, pulled her up on to my lap, and read my stories to her. My sister says that she does this at home all the time too, which makes me super happy. I take it as a sign that I’ve crafted something children love. 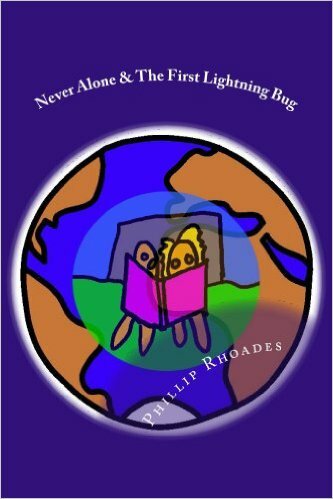 I’ve set the price of “Never Alone & The First Lightning Bug” to just $0.99 for the Amazon Kindle version, because I believe that once you have read it to your children they’ll ask for it again and again, after all my nieces and nephews sure do. The printed and bound “real book” version is more, because printing and binding is an expensive process, but you just might decide you want that printed version so your child can read these stories to your grandchildren some day. The minimalistic illustrations, while great for children, are sometimes met with less than the greatest enthusiasm by adults. That’s okay, I wrote and illustrated these stories for children. I’m the second oldest of seven children, my first jobs were babysitting my cousins and the kids down the street- I know what children like to read. I’ve been reading stories to and making up stories to tell children for most of my life. Kids in the one to five age range love minimalistic and uncluttered illustrations, these are the types of books they would pick out and bring to me again and again. In this book you will find two wonderful stories. The first is the story of a little boy named Alone, a little girl named Never and how they have a positive effect on each other. The other explores the origin of the lightning bug in a fanciful way (loosely based on ancient myths of the beginning of the world) that will appeal to children of all ages. 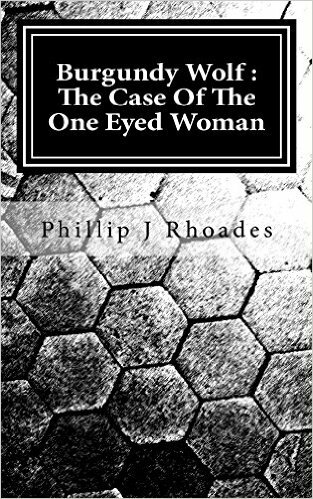 You can get this book on Amazon for Kindle or in print. Copyright © 2018 HowToPhil. Powered by BlazeBlogger.